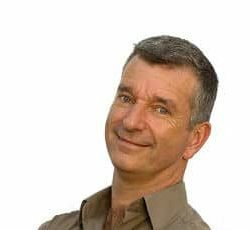 Well-known comedian Tony Hawks’ dry, warm wit has made him a popular choice for after-dinner talks. “Round Ireland with a Fridge” is a tale of Tony’s absurd quest to hitchhike around the circumference of Ireland in a month – with a fridge. It became a top 10 Sunday Times bestseller after it was serialised on Radio 4, and has sold over 800,000 copies worldwide and been translated into several languages. Tony has also written five other books: “One Hit Wonderland,” “A Piano in the Pyrenees,” “The Fridge Hiker’s Guide to Life” and “Playing the Moldovans at Tennis” which was short-listed for both the Samuel Johnson Prize for non-fiction writing and the Bollinger Everyman Wodehouse Prize. His latest book, “Once Upon a Time in the West… Country,” released March 2015, tells the story of how Tony and his partner uprooted themselves from London to settle in a small Devon village, and their attempts to integrate themselves. Tony has made frequent appearances on television comedy programmes such as Have I Got News For You, They Think It’s All Over, and QI, as well as in the past on A Bit of Fry and Laurie and Red Dwarf. Tony is also a regular guest on Radio 4’s comedy programmes Just a Minute, I’m Sorry I Haven’t a Clue, and The Unbelievable Truth. 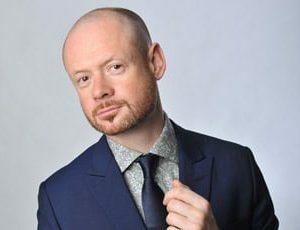 His warm, dry style and talent for ad-libbing has made him a highly popular speaker, and he is a regular after-dinner speaker at corporate events throughout the country.